Most books have a hero and a villain. The conflict between the two propels the plot. A great hero can be any number of things. The alpha male, the beta male, the bad boy. Every sort of cliché is out there. And they’ve all been used to good effect. But every so often a hero comes along that makes us swoon. I find that these well-crafted fellows are more often than not a skilful blend of types. It’s not easily done, and I stand in awe of those who have perfected the process. Sir Percy Blakeney aka The Scarlet Pimpernel-I love his daring his cunning and his self-sacrifice. He plays the fool to all and sundry hiding his true worth in order to fight secretly for the greater good. And then there’s his love for Madeline. Even when his conscience despises her for what he believes she’s done, his heart yearns for her. Sigh. Now that is the stuff of great conflict! Indiana Jones aka Junior-Okay I know this isn’t a book, but who doesn’t love the combination of brainy academic and action star. Throw in rugged good looks, and well... Sigh. As disappointing as the fourth in the franchise was, I did like the way it developed the characters. He still loved Marion after all those years. 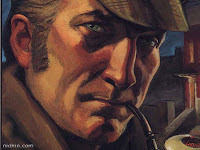 Sherlock Holmes aka the world’s first consulting detective-So I know he isn’t exactly considered romantic, but how can you not like a guy for whom there is only one woman in the world. Sigh. Despite his avowed reliance on logic, he is in fact a passionate man. A case that engages his interest can claim him mind and body until it is resolved. It is only at those moments that he feels alive and vital and whole. When there is no case, he resorts to his seven percent solution to avoid going crazy from boredom. To me that is not the sign of an analyst, but of a character who cares almost too much. Sometimes the other side of the equation gets short shrift though. Villains are often portrayed as EVILE. For no other reason than the author needs them to be that way. Oh, and don’t forget the poor hygiene, bad breath and black hat. Oh, yes villains are pretty easy to spot in a lot of books and movies. I’m still working on it, but some of the best advice I ever received regarding creating a memorable villain, is that he believes he is the hero of the story. No human is pure evil. Even those who do horrible things have convinced themselves that their actions are not wrong. Great villains are smarter, stronger and better funded than the heroes. In other words they are a real challenge. The outcome actually hangs in the balance. Cruella DeVil-Seriously she tries to kill puppies. How much worse can you get? And yet, what’s the real difference between killing puppies and minks? She is only a degree or two off the ‘norm’ and yet most people like dogs. Minks on the other hand are nasty little biting rodents. It’s her obsession and the lengths she will go to satisfy her desires, as much as her moral filter, that causes us to cringe. Magneto (from The X-men)-Come on, who can’t empathize with a survivor of the holocaust? Especially when he sees the same symptoms of hate erupting in the world again. Who wouldn’t want to strike first in order to protect themselves? And yet that puts him in danger of becoming the very thing he despises. Throw in the fact that he and Professor Xavier are old friends and it’s a recipe for conflict, i.e. great stories. 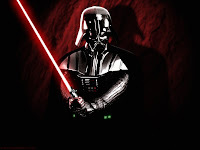 Darth Vader-Put your trust in the wrong place, let your passion take you places you know it shouldn’t, and voila, you too could conduct a massacre of younglings. He’s intimidating and has the look of a villain. But in the end he is redeemable. He finds a way out of the mire and finally chooses to do the right thing. Darth Vader helped create the Empire, but in the end he also destroyed it. Now it’s your turn, who are your favorite heroes and villains? I know I’ve missed some of the greats! I love the classic knight in shining armor for a hero, like Sir Ulrich in A Knight's Tale. My favorite in books have been from obscure historical romance novels. A knight templar and an undercover British agent disguised as an Afghani tribesman. I've never written a true villain. Probably my favorite that I've read was in The Pawn by Stephen James. 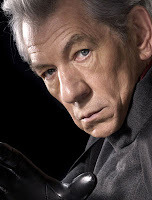 He was a very complex and psychologically damaged villain, definitely thought he was the hero, but still epically evil. Your disguised British agent reminds me of Lawrence of Arabia. He was a fascinating real life hero for sure. Though I understand he had a dark side brought on by the atrocities he endured. Really I think the best heroes have an element or two of darkness, and the best villains have a bit of heroism. "...the best heroes have an element or two of darkness, and the best villains have a bit of heroism." Well said, Lisa. BTW, Sir Percy and I (in that particular film version) go way back to my HS French class. No one else understood his appeal! I'll add Antonio Banderas' version of Zorro to the favorite heroes list. And Rhett Butler, of course! YAAAY! Sir Percy!!! 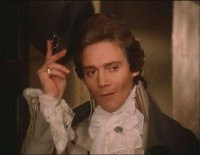 (Yes, yes, Anthony Andrews is THE ONLY Sir Percy! ;-)) He is definately my favorite literary hero. And Indy is pretty cool, too. Favorite villain--the Glenn Close Cruella was pretty awesome. I do agree that there is something about female villains that are much scarier than male. Hmm. That is so interesting! I'm not quite sure what category he falls into, but I am also a huge Phan of The Phantom of the Opera(Michael Crawford only ;-)). Is he a hero or a villain or what? Not quite sure...he's obsessive and kills people, but he's an enormously vulnerable guy who's been hurt a lot and craves love...and from the millions of Phangirls out there, well...very interesting. Hero or villain??? Nikki, I was waiting for someone to mention Rhett Butler. He's a good bad boy hero isn't he. And Clark Gable had just the attitude to pull off that character. Alexandra, thanks for stopping by! I don't know why women can be more terrifying, but I think you're right. Nurse Ratchet anyone? Maybe it's because we don't expect it from women? Anyone else want to take a thoroughly wild guess on that one? Phantom of the Opera is a great villain. One you sort of like better than Raoul, the hero. But what had Raoul ever faced? He was a lucky son of a gun. how would he have turned out in similar circumstances. The Phantom is technically the villain, but I've heard some refer to him as the anti-hero. I took a course at ACFW last fall taught by the My Writing Therapy team Susie May Warren and Rachel Hauck. I loved how Susie used the movie THE PATRIOT to talk about plotting and characterization. The journey of the main character (farmer Martin played by Mel Gibson) showed the growth of someone who'd been a war hero but sickened of the cost and swore he'd never get involved again. Until --- he has to make a choice. The cost of that choice is very very high. This wasn't so much about a hero to root for, or one who is clever and heroic in a swashbuckling way, but about the heroic growth of a character which made this movie so compelling. Otherwise, I'm not having any luck picking a favorite hero or villain. I'll get back to you, Lisa! Good question today! Ooh, fun post and great food for thought (I'll have to look for tapes from that course, Deb! I'll say it again: Ooh!). Anikin/Darth Vader is a truly complex villain. He'd go on the top of my list too. I appreciate his devotion to his mother and I admire his skill; I am moved by his forbidden love for Padme; yet I pity him, fear him, and mourn the cost of his midsirection all at the same time. Magneto was another inspired choice. He does what he does according to his conscience, for what he perceives as being good for the mutants. The X-Men series is full of complicated heroes and villains. I love the movie version of Wolverine, a tormented loner who goes through excrutiating pain to protect the people he cares about. I've already written about Spiderman, another favorite superhero. I love the motto, "With great power comes great responsibility." He's just a smart, nerdy kid who gets thrust into something bigger than himself and he sacrifices his personal happiness to rise to the occasion. Thanks for the fun post, Lisa! For a true hero, I'd pick George Bailey, played by James Stewart in the movie, It's a Wonderful Life. Every time I watch it, I feel the poor man's wish to leave the town and travel. It's been his dream forever. And yet responsibilities keep coming up that he can't shirk. Well, actually, he could shirk, but he doesn't because he's not that kind of man. That kiss between George and Mary, when he's holding the phone receiver between them, and he's smelling her hair...he tries to look away...turn away...and yet he's pulled back to her again and again. Until finally, he drops the phone, grabs her and starts spouting off things like not wanting to get married...not wanting to be tied down...wanting to travel...it's all he's ever wanted to do... And then he kisses her with the realization he'll never see his dreams materialize. To me, George Bailey is hero material because he puts aside his own wants for what needs to be done. As for the best villain in a book, I'd have to say our own Inky sister, Diane Burke. Her villain in Midnight Caller is so realistic, so chilling, he truly is unforgetable. Great point, Deb. sometimes the story is all about the journey to become a hero. In that case the real villain is often the same character. Susie, Spiderman is a gerat choice! Anita, you're right. Great heroes don't only come from actiony type tales. George Bailey is a perfect example. He is a man of principle in the small things that make up his life. And because of that he stands between a greedy, unscrupulous man and the people of his town. He is a real hero. I'll be looking forward to reading Diane's book, sounds like she has a great villain going there. While some of my favs have already been mentioned, two of my newer favorite heroes come from Dickens: John Jarndyce from Bleak House and Arthur Clennam from Little Dorrit. One obscure one is Adam Bede, from the book of the same name by George Eliot. Villians are much harder for me, but I agree with whoever said women are much scarier to me than men! The villian that always makes me shiver is Mrs. Danvers in Rebecca. D'Ann you are way more versed in Dickens than I am! But Charlie was certainly a master of characterization. What about greedy,grasping, old Fagan who at least tried to keep poor Oliver out of Bill Sykes's clutches? The Times London published a list of the top fifty literary villains of all time, and Mrs. Danvers made the cut. Oooo D'Ann. A Bleak House fan, too? Amazing series! Mr. Jarndyce was a good pick for hero. I'm so glad Mrs. Danvers came up! Dina are you talking about the hero in The Four Feathers? I'm really going to think about this now as I read and watch movies. And I've gone to Amazon and put Diane's book on my wish list! I've heard mixed reviews on The Four Feathers. Some hate it, some love it. What did you gals think? I might have to get it on netflix if you all think it's worth it. Four Feathers is the same guy as Knight's Tale. Heath Ledger, who sadly passed away already. I liked Four Feathers. Slow at parts, but deep. But the tribesman I'm talking about is from a book. I'd have to look up the name. I was thinking there were two guys and a girl and something about accusations of cowardice which is what the feathers of the title symbolized. Somebody described it for me but it's been several years ago now. Doctor Jones. My ALL time favorite hero. Oh, you featured such great ones, and the commenters brought up others that are good. The Dickens reference made me think of Miss Havisham. She was great. Evil? Wounded? Crazy? Controlling? Yet, we have sympathy for her. And, Estella, wow. I can't think of a good hero right now, but it will be on my mind this evening! Having studied The Hero's Two Journeys by Chris Vogler and Michael Hauge over the weekend, I am thinking a lot about the heroes in books and movies. I'd really recommend it! Yeah, Jules. Who doesn't like someone who can sock it to the Nazis! Mary, I've tried at least three times to get through Great Expectations and never made it. Just one of those things I guess. Not one that resonates with me. But Miss Havisham is most definitely delightfully creepy. My favorite hero: Hugh Jackman in Australia. My favorite villan:Khan, in Star Treks Wrath of Khan.From hell's heart I stab at thee... for hates sake I spit my last breath at thee..." Isn't he bad?! Well, Jilly... He's certainly vehement! I could actually see those words coming from a wounded hero in a story like Deb mentioned where he has to grow into himself. Now why'd you have to go and bring up Hugh Jackman? I'm trying to focus on work! oooh Khan - another great villain. One of the best - Jack Randall of the Outlander series. Woo hoo. I was excited to find your post. I love Darth and Indiana too. This is Britt, by-the-way. Shmologna is my nickname. Deb, I've heard so much about the Outlander series. I have to get it at some point. Britt, I believe Hannibal Lector is classified by the listmakers as the best villain of all time. So, how did you get the nickname Shmologna?